As travel has progressed through the years, one thing that has been consistent is that travelers have needed a way to carry their belongings to their destination. While the modern-day suitcase originally was more of a trunk in the past things have come a long way. Travel bags have advanced over the years. With changes in travel needs and modern technology, a diverse array of travel bags have been introduced in the market. Carrying the most appropriate bag of travel can minimize unnecessary weight associated with heavier luggage options. The hustle and bustle at airports is a prime location where you will find all types of luggage designed to make it easier for you to carry. And while we all share some commonality in what need to carry like phones, passports, wallets and other necessary items, many travelers will find themselves needing more space, organization as well as security for their things. Baggallini, for instance, offers a wide variety of travel bags and is a leading player in the industry. They understand what matters and offer great options from handbags to accessories. What determines the type of bag you’ll need will be the type of activities you’ll be doing. Your choice of Backpacks, Crossbody, Shoulder, Tote or Laptop bags comes down to personal preference. 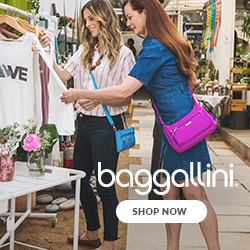 Check out Baggallini! For many backpacks serve a number of needs; they can be most useful for just about all occasions. From work to school or a fun day out it will depend on how much you need to take with you. These bags are just right for those who plan to do more walking during their day so you will want to look at having cushioned straps and a good way to make adjustments for the weight since you’ll be carrying it on your back. While backpacks are known for functionality as one can keep their stuff separately in various compartments and zippers, the Crossbody bag is still stylish and another great option. Lighter in weight and size makes Crossbody bags convenient when not having to carry a large number of items. Laptop bags can also serve as an overnight bag with some having separate compartments for overnight clothing and toiletries. Nowadays RFID (Radio-Frequency Identification) is available to keep your credit cards safe and battery supplies to power your digital devices. There is even a durable fabric designed to protect from slashing or having your bag cut along with stylish locks for enhanced security. While travelers are usually required to check-in a suitcase or backpack due to the size, you’ll want to make sure you are within the U.S. standard requirement of 22”x14”x9” if you want to carry it on a plane. Wise travelers do not invest in unnecessary frills so be sure to select and consider those features and benefits that will best suit your needs like durability, straps, and compartments. Having the right bag while traveling is a great plus and can help to keep you organized for that next big trip! Russell County is known for its peaceful and largely rural lifestyle, which is prized by many residents. With easy access to the services of Phenix City and Columbus, GA many county residents feel the county offers convenience yet quiet ambience. Russell County is rich in history (known for its significant historical areas), especially in the southeastern sections of the county adjacent to Fort Benning. The growth in Russell County is largely centered in this area. Russell County provides easy access to Fort Benning by using the Back Gate from AL- 165. Seven percent of Fort Benning’s land lies in Russell County and is represented by Fryar Drop Zone, which is part of Fort Benning’s Airborne School. In spite of its growth, the county retains its rural character and is located on the Chattahoochee River. Recreational activities abound in Russell County include fishing, hiking, hunting, boating, camping and swimming. The Chattahoochee River forms the eastern boundary of the county and provides a good venue for Whitewater Rafting, Kayaking, Surfing and Zip Lining. Hunting preserves are on both public and private lands. There are golf and tennis facilities in the County. The Robert Trent Jones Grand National course is only a short drive away in Opelika, Alabama. There are sports and recreational facilities throughout the County and organized sports for all ages are well supported in Russell County. Everybody enjoys having a good time. Different seasons offer their own unique pleasures. Fall comes with its own exquisite activities that will have you enjoy to your maximum. Hey, you only live once right? It is evident that having autumn adventures in Georgia is among the most exotic things to do during the fall season. Before the holidays start, the cool weather and vibrant changing of leaves is to die for! Enjoying the fall with family and friends creates memorable times. Watching some leaves during the autumn season is among the most famous fall things. Seeing leaves as they fall off from trees or just looking at how vibrant their colors are is just awesome. It’s fun to see how some leaves change their color during the fall. Many fall festivities occur in the month of October in Georgia. Attending the festival with friends and family is all fun. You are able to spend your leisure time well in the presence of friends and family. A classic since time immemorial.Tasting of different flavors of wines is among some people’s best ways of celebrating on autumn.Gapping the purest air of Georgia as you observe the leaves change makes your celebration shine.You can sip your wine leisurely as you enjoy yourself to the fullest. Grand hiking through The Stone Mountain is highly enjoyable.Climbing the mountain with little or no sweating makes you as fresh as the morning dew. You enjoy looking at an amazing scenery through the tops of the trees. 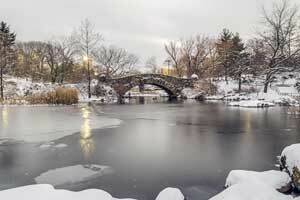 It is such a great place to be with your family and relatives. The environment is serene, and you get to see how the leaves do change. Attending Pumpkin and gourd Farms Pumpkins and gourds are so plenty during the fall in Georgia.Passing through the pumpkin farms helps you to decorate, carve or cook pumpkins. There are many corn mazes in Georgia. You can take your little ones for free to have fun during the afternoon or have a corn maze for the adults during the night. You can visit and choose your very best apple house among the many present at North Georgia. Picking apple commences on the end days of the month of August and ends in October. Bonfires bring a magical feeling,especially when in good company.Stories flow and the warmth is to irresistable.You can also roast some marshmallow’s or anything that will suite you in the process.What joy! Watching a live football match when your most favorite team is playing makes autumn adventures in Georgia interesting. You can do so with friends or colleagues. There are varieties of new things which can be seen during the national fair. Different types of animals, entertainers and fireworks. Dahlonega is just the place to be.Rich in history. You are able to see the fall foliage in Georgia and enjoy to watch gold panning championships. Conclusion Georgia beautiful scenery has much to offer especially during fall.The different yet unique activities available will keep you coming many years to come.Try it out,you’ll be amazed. While summer and spring are the seasons that awaken bursts of joy and fun in people, many consider that the autumn a true gift of nature for its scenic beauty. In California there are places that during the fall are transformed into true works of art, astonishing visitors with environments full of color and nostalgia. In this publication we will review what for many nature and tourism lovers are the best fall landscapes within California. Do you already have your favorites in mind? The fall season begins in California, usually during the month of September and lasts on average until the “Thanksgiving” festivities in November. To the north of California you can enjoy beautiful moments of warm days and more refreshing nights. Nature invites you to admire it, making the leaves of the trees begin to change color offering a wonderful natural spectacle, and suffice it to mention that during the fall “Halloween” is celebrated to know that the nostalgic and mysterious touch provides the cherry that this season needs to be the favorite of many. We chose the best fun things to do in the fall in California. We propose you to discover California with children in ten essential destinations , designed to visit as a family. A trip that combines urban tourism with the wild nature of its most emblematic places, with some proposals for quieter activities , for rest days. In addition to its cosmopolitan and bustling atmosphere , the urbanism of this city makes it a good option to discover California with children . The whole family will enjoy touring the city, with its bridges, skyscrapers and impossible slopes, without forgetting the emblematic Golden Gate suspension bridge , Lombard street (the curved street in the world) and a walk along Pier 39. We recommend you to take the tickets with Many weeks in advance if you intend to visit Alcatraz Island. Besides the interesting part of the walk through the old prison, the views of San Francisco are impressive. As well as from Tiburón, crossing the Golden Gate Bridge. Another essential destination full of attractions, but we must take it easy is Los Angeles. We can not miss the opportunity to feel like real Hollywood stars on the Walk of Fame where we will see the stars and hands of our favorite stars. Touring the great shops of Beverly Hills will make us feel part of American series. If you have not yet visited any Disney theme park, do not miss Disneyland Resort in Anaheim. This iconic theme park was the first of The Walt Disney Company, and the only one that was designed and built under the direct supervision of the unforgettable Walt Disney. Located on the Pacific coast , California has some of the best beaches in the world . The best known are those of Malibu , Santa Bárbara , San Diego and Orange County , very frequented by lovers of surfing. However, our proposal to relax in family, very close to Los Angeles, is the beach of Santa Monica. We recommend you to visit its emblematic pier with its amusement parkthat will delight the little ones. If you go in summer, a good option is to go to Pier Santa Monica, in the afternoon it is not so hot. For a quiet day on the beach, go to Annenberg Community Beach House that has all the amenities for families. The famous Seaworld of San Diego offers a great experience for children. Many spectacles and attractions of spectacular beauty, with orcas , all kinds of marine mammals and even the opportunity to swim among dolphins will make the visit unforgettable. The city of San Diego also has one of the best zoos in the United States. There you will see giant pandas in their modern and well-maintained facilities . Yosemite National Park is one of the most beautiful natural environments on the planet , halfway between Los Angeles and San Francisco. It highlights the Valley of the Butterflies , the Pass of Tioga , its forests of centennial sequoyas and its impressive waterfalls Yosemite Falls . Halfway between Yosemite and the Grand Canyon , there’s Death Valley. It is one of the most arid areas in the world , with desert lands that never get rain. 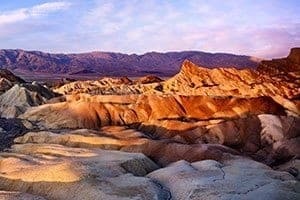 Do not miss the incredible panoramic view from the Dantes Point viewpoint , the beauty of the dunes of Stovepipe Wells , the original mountains of Artist Drive and the Golden Canyon . Although it belongs to the state of Arizona , its proximity to the California border makes it a very common visit. The Grand Canyon has plenty of appeal to make anyone traveling to California with children on their route. Contemplating its extraordinary geography reminds us of how impressive nature can be . Fourth of July known all across the nation as the independent day is a holiday celebration that was adopted in the USA. This holiday was adopted on Independence on July 4, 1776, when Independence was declared in the United States of America. This is a day when many families, both residents, and non-residents choose to have their summer travel or family vacations. On this very day, celebrations are done all across every town and city in the USA. Most of these celebrations commonly entail: Community and Social Barbecues. Parades and picnics. Concerts and drama festivals. Amazing firework displays. Among all these cities and towns, there are some specific locations that have been fond of hosting outstanding Fourth of July celebrations. Here are the top places to celebrate Independence Day. These are a few of the best cities you may want to celebrate the Independent Day celebrations in. Get to experience world-class entertainment and accommodations all through this very important festive period. We hope everyone has a safe and happy Independence Day. A Florida Vacation is one of the top tourist destinations in the world, from spectacular resorts to stunning beaches, there is something for everybody in Florida. Be sure to take Florida’s hotel coupons with you before you go to save money on your hotel stay. Families will visit Walt Disney World making wonderful memories, making it the perfect place to take the children. For the more adventurous – Florida also plays host to Cape Canaveral and the Kennedy Space Center. If you are really lucky, you may even get to see a launch yourself. If you prefer to relax and put your feet up, Florida has some of the most beautiful beaches, such as Clearwater and Palm Beach. Be sure to visit during the height of summer to experience gorgeous weather and a whole host of fun activities. If you’re going to spend time on the beaches you should try your hand at surfing at least once! There are plenty of surf schools that can cater to beginners to experienced surfers. There’s nothing quite like catching a wave and riding it back to shore. The state truly has something for everyone, making it the perfect holiday destination. Be sure to pick up some Florida hotel coupons and visit some of the many attractions on offer. We promise you won’t be disappointed.